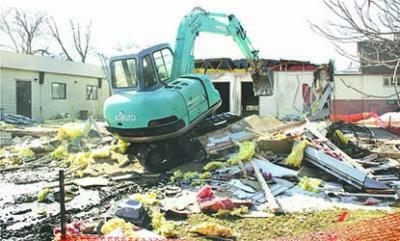 A crew from Ryan Voss Construction of Glencoe razed the Tri-Valley Head Start facility on the Christ Lutheran Church property last Tuesday. The buildings served children of families who come to the area for seasonal work. The buildings date back to the 1980s. The buildings and playground equipment will be replaced later this spring.